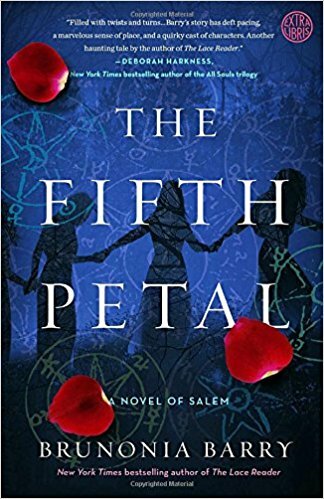 For readers of Deborah Harkness's A Discovery of Witches, New York Times bestselling author of The Lace Reader Brunonia Barry returns to Salem with this spellbinding new thriller, a complex brew of suspense, seduction and murder. I have this author's other book The Lace Reader and enjoyed it so I was looking forward to this book as well. The subject matter is something that interests me a lot. 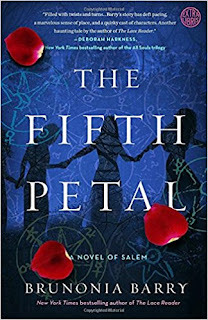 I enjoy reading about things happening in Salem especially when they are connected to witches. This book was full of mystery and history - two of my favorite things to read about. There was even a little romance thrown in for good measure. Once I got started on this book I did not want to stop as it was a real page turner for me. I recommend reading this book as it was one of the good ones published this year.